Lelia Brigham paints in an art classroom on VGCC’s Main Campus. Upcoming Vance-Granville Community College courses allow area residents to explore their artistic side, either during the day or at night. 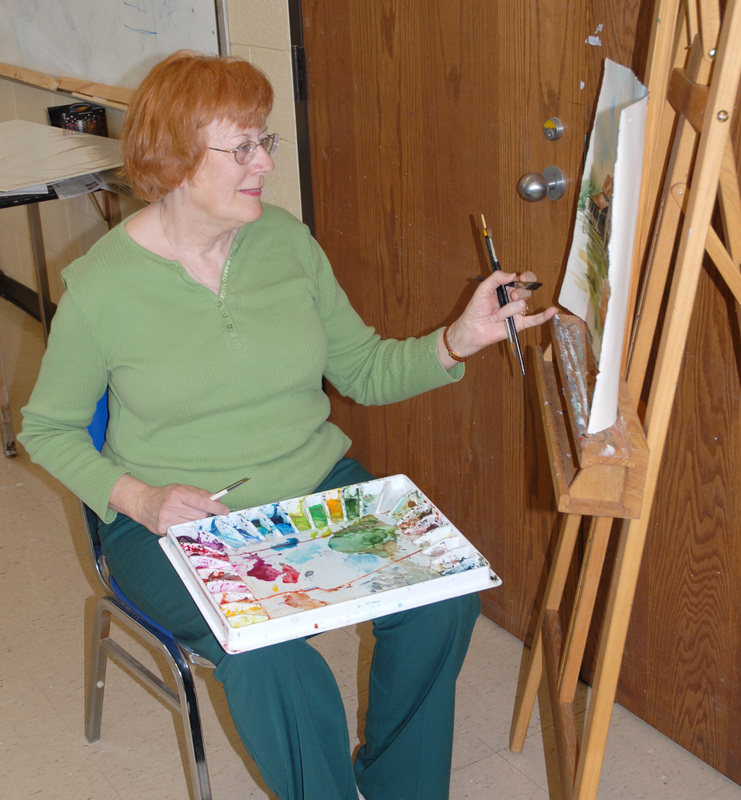 Painting classes taught by longtime VGCC art instructor Lelia Brigham are scheduled for Monday evenings, Oct. 21 through Nov. 25 from 6:30 until 9:30 p.m. and on Tuesday mornings, Oct. 22 through Nov. 26 from 9:15 a.m. until 12:15 p.m. Both classes meet once per week and will be held in room 5230 (Building 5) on the college’s Main Campus in Vance County. These classes will focus in particular on learning and using the style of American painter Thomas Kinkade (1958–2012). The cost of either class is $44 (including all fees). Registration in advance is required. The deadline to register is Friday, Oct. 11. For more information, contact Theresa Somerville at (252) 738-3427 or SomervilleT@vgcc.edu.